At Carmel Teacher Training Partnership, we have been inspiring the next generation of teachers for over 18 years and now offer high quality Initial Teacher Training. 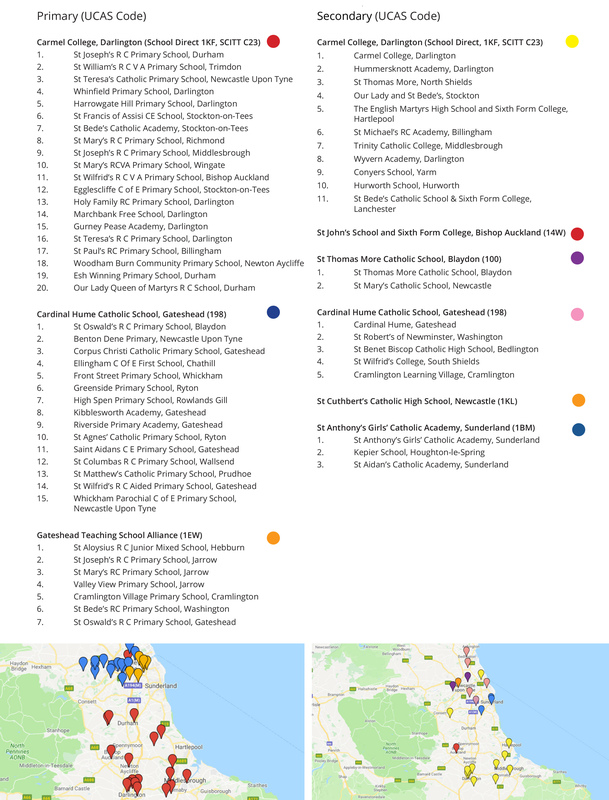 Considered an Outstanding provider by Ofsted(2012), we now work with 9 lead schools throughout the North East of England, successfully training Primary (5-11) and Secondary (11-16) teachers in many subject areas. As one of the top performing schools in the country, our pursuit of excellence is our ethos, based upon the expectation that everyone strives for quality, and we bring that passion and commitment to everything we do. Although we are recognised as one of the leading teacher training providers, we ensure that our training programme is personalised for the individual needs of our trainees. There is no better place for you to start your teaching career than with us. We work in a friendly, nurturing and inspiring setting, where you will be valued and supported. Our Initial Teacher Training takes candidates under the School Centred Initial Teacher Training (SCITT) and School Direct programmes and provides a great alternative to training through a university. Because our training is school based, we provide you with practical, job based learning from the start. As you are working in a school, you are also much more likely to get a job at the end of your training. In fact, over 96% of our trainees go on to secure a teaching role, the majority of them in their host schools. The programme is a blend of training rooted in school experience and underpinned by academic rigour. All our trainees have the opportunity to study for PGCE at Masters level through St Mary’s University, Twickenham. Train with us and we will get your teaching career off to an exciting and fulfilling start.